Egypt's total government debt service hit EGP 406.2 billion for the year 2017/18, up from EGP 370.7 billion in 2016/17, a report by the Central Agency for Public Mobilisation and Statistics (CAPMAS) showed on Wednesday. According to the report, the government debt service went up by EGP 35.5 billion for 2017/18, hitting the EGP 400 billion benchmark. The report also showed that the interest on domestic and international loans increased from EGP 159.2 billion in 2016/17, reaching EGP 247 billion in 2017/18. Egypt's total debt reached EGP 3.8 trillion, which represents 108 percent of the total GDP, according to previous statements by Finance Minister Mohamed Maeet. Premiums on domestic loans decreased from EGP 152.3 billion to EGP 134.4 billion during the same period the previous year. However, interests on external loans increased, reaching about EGP 18.3 billion compared to EGP 5.8 billion the previous year. Premiums on external loans amounted to EGP 24.8 billion, down from EGP 34.8 billion in 2016/17. 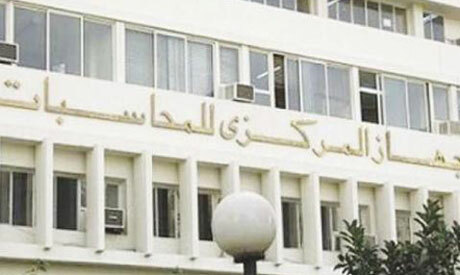 Domestic liquidity increased in March by EGP 600 billion, reaching EGP 3.3 trillion.